As mentioned in Tip #9, the VirtualLink adds the convenience and blazing fast data transfer speed that comes with USB 3.1 Gen2 standard, allowing you to transfer data at 10 Gbps, a huge speed boost from USB 3.0 at 4.8 Gbps or USB 2.0 at 0.48 Gbps. However, in many environments, data access represents a potential major security issue since it would be possible for someone to steal the data stored within the system and also possibly inject unwanted data or virus into the system. Therefore, for mission-critical installations, it is desirable to disable the VirtualLink data access to keep the system and data stored secured. 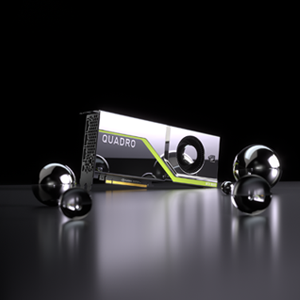 One advantage of the Quadro RTX graphics line up is the ability to disable the VirtualLink data access on the VBIOS level, therefore blocking the potential data breach possibility at the hardware firmware level. If your project needs this feature, please contact your PNY sales representative to inquire about Disable VirtualLink on your PNY Quadro RTX products, or contact gopny@pny.com for more information.